If you're looking for unique homes and home sites, accessible location, and upscale shopping, dining and hotels, then come to Burr Ridge. Located in both Cook and Du Page Counties, this southwest Chicago suburb of roughly 11,000 residents, has convenient access to Chicago and surrounding suburbs via I-55 and I-294. Residents can subscribe to weekly e-briefs to stay on top of Village news and events. Burr Ridge is celebrating its 60th anniversary! Fine homes on generous lots, distinguished townhome communities, and upscale shopping fill Burr Ridge, IL. Ideally situated at the intersection of the Tri-State Tollway and the Stevenson Expressway, Burr Ridge offers easy access to downtown Chicago, as well as O’Hare & Midway airports. 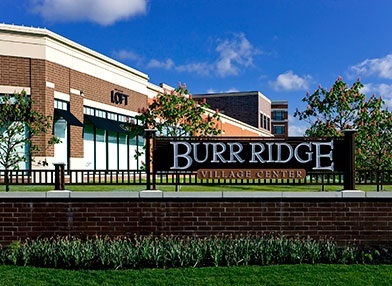 The well-balanced mix of residential and business communities has allowed Burr Ridge to maintain one of the lowest tax rates in DuPage County. I would love to help you come home to Burr Ridge! Listing courtesy of ByPro Inc.